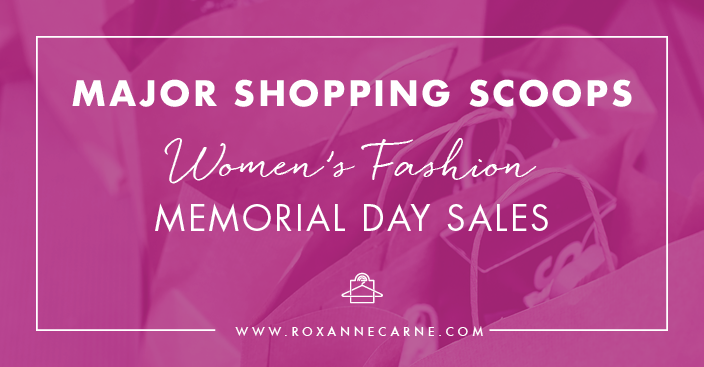 This Memorial Day, I thought it would be neat to share a comprehensive round-up of some of the hottest sales going on from my absolute favorite stores and brands! Yes! I'm all about investing in quality clothes, shoes, and accessories – but saving money along the way never hurts either! 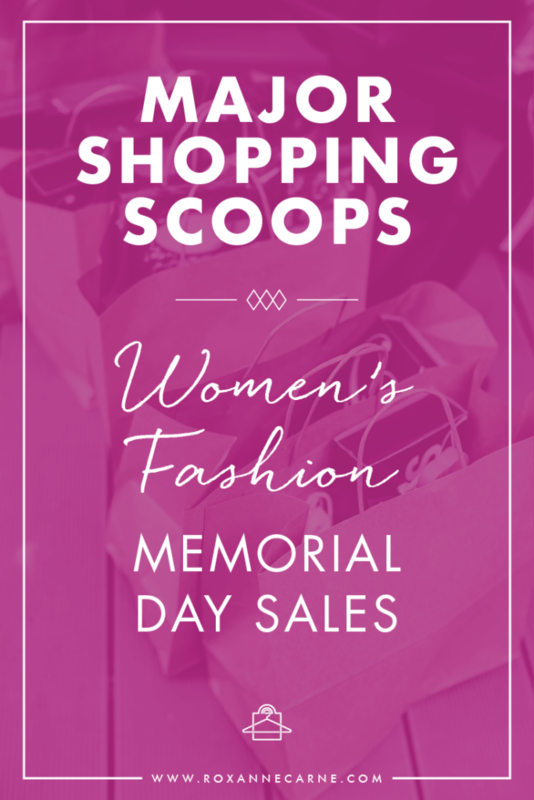 So as I shop for my clients this Memorial Day weekend, I want to spread the love and let you in on some fab deals that you can use to hype up your spring/summer looks, too! Dropping Some Memorial Day Shopping Gems For You! While I've included major retailers such as Bloomingdale's, Nordstrom, and Saks Fifth Avenue, I'm also including some fantastic online stores & brands that always deliver great looks such as L.A.-based Frame, The Outnet.com, Orchard Mile, and more! So familiarize yourself with this season's top fashion trends and looks and browse through the banners below to instantly access awesome savings on these cool items. Read below for some of my tips and Happy Shopping! I'm particularly excited to share Saks Fifth Avenue's MAJOR designer sale going on right now. For a limited time, you can even score Valentino shoes on sale – um, heck yeah! Don't sleep on this huge sale! The last time I curated and shared some looks from a Neiman Marcus Last Call sale, I got loads of feedback from my audience on fantastic, high-quality pieces they were able to get at fantastic deals. I highly recommend checking out their Memorial Day Sale! From the trophy day dress to the standout shirting you'll find a fusion of the hottest streetwear coupled with high fashion impact at Stylebop! 7 for All Mankind is one of my top choices for premium denim options for my clients (and for me, too!). This sale offer is a steal and a great opportunity to ‘up' your jean game for sure. Get on this! Many ladies here on the East Coast aren't too familiar with this west coast brand. Wildfox Couture plays in the retro space and is known for their premium T-shirts, sweaters, and sunglasses. Explore Wildfox for spring/summer must-haves like swimsuits and rompers! Okay, so I had to definitely share another one of my favorite denim designers (also based in L.A.)! Frame offers fabulous-fitting jeans all day every day and even better, they have a great selection of women's casual tops, skirts, dresses, and more! Check out their Memorial Day sale of 25% off with the checkout code SAVE25. Okay, so this is one of my favorite online stores for luxury, high-end pieces that you won't see in most retail stores. They feature top designers such as Proenza Schouler, Alexander Wang, Chloe, Maison Margiela and SO much more! Up to 40% off?? Get your top-line items now! Get your fix on accessories galore with Sole Society – this Memorial Day you can save up to 50% off shoes, bags, and even apparel (Hint: no code required! ).